A bear. A bat. A butterfly. Images seen in Rorschach inkblots reveal the viewer’s unconscious mind, including any serious mental disorders. Or do they? Is the Rorschach test a brilliant diagnostic tool, or a glorified parlor trick? 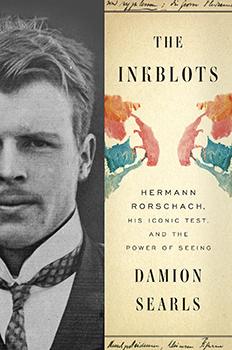 “The Inkblots: Hermann Rorschach, His Iconic Test, and the Power of Seeing” raises these questions and lands in the middle. Author Damion Searls concludes, after much throat-clearing, that patients, in partnership with gifted psychologists, may uncover fascinating areas to explore through the Rorschach. But using the results in parental custody lawsuits or other high-stakes arenas, he writes, is fraught with problems. For instance, what precisely are we testing when we ask people what they see in inkblots? Surprisingly, we don’t know. The test’s theoretical underpinnings have never been worked out. That hasn’t stopped its runaway success. The 10 cards, printed with symmetrical forms, remain the same as when Swiss psychiatrist Hermann Rorschach first published them in 1921 to accompany his book “Psychodiagnostics.” Rorschach’s influences included a children’s game called klexography, psychoanalysis trailblazers Freud and Jung, and observations of his asylum patients’ interpretations of the set of images. “Rorschach did not conceive of the blots as a ‘test’ at all: he called it an experiment, a nonjudgmental and open-ended investigation into people’s ways of seeing,” Searls writes. Rorschach resisted initial pressure to use his inkblots in schools as an aptitude test. He wrote that the thought of an aspiring student barred from university study because of his work made him feel “a bit like I can’t breathe.” A systematic collection of test results in a large sample would be required, he wrote, and a solid theoretical basis would need to be established. Pop culture has found the test images irresistible. Andy Warhol made his own series of giant inkblots and titled each of the paintings “Rorschach.” Jay Z put one of Warhol’s works on the cover of his book “Decoded.” Advertisers have used inkblots to sell perfume, investment advice and mobile phones. 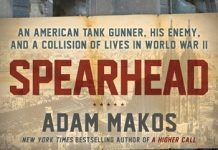 Searls, a literary translator of French and German, wades out of his depth when he tries to assess these popularized inkblots as cultural metaphors. But he reveals later that a psychologist tested him with the inkblots and told him he was a little obsessive. So, there you go: the Rorschach works. In the end, Searls’ obsession with details — gleaned in part from an unpublished archive of source material — grows a bit tiresome. Some readers will find more than they want to know about Rorschach’s short life and the subsequent professional feuds over his work’s clinical validity and competing scoring systems. “The Inkblots” is an exhaustive — sometimes exhausting — inspection of a misunderstood psychological test and its inventor. It is impressive to have on the shelf and not always a bear to read. Or is that a butterfly?